When it comes to remodeling or building a new kitchen or bath, two challenges include understanding what the latest designs are and setting aside time to go shopping. In most metropolitan areas, there is a design district or a specific location where multiple companies that sell kitchen, bath and home interior products have showrooms. Some buildings are only open to the trade, like the D&D Building in New York City (a good reason to work with a designer) while others are open to the public. New York City’s Architects and Designers Building and Chicago’s Merchandise Mart, specifically LuxeHome on the first floor, are two especially good buildings to visit when it comes to kitchens and baths. 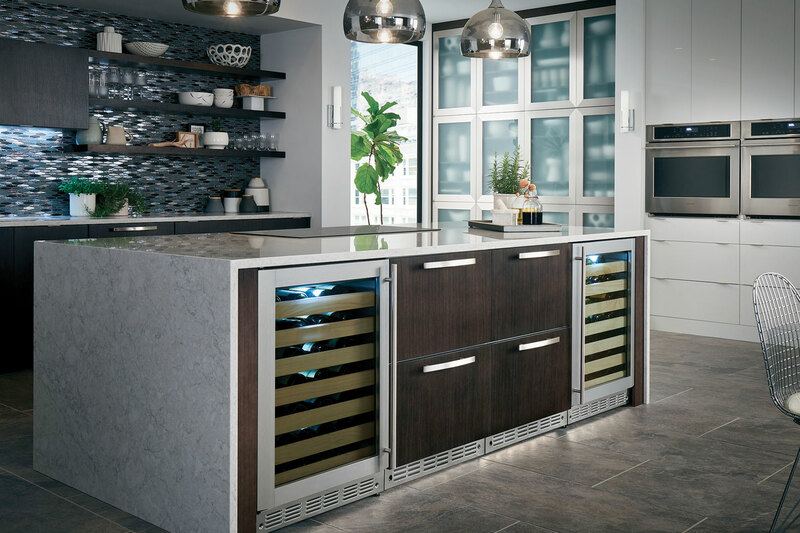 Not only can you visit kitchen designers and cabinet companies, and appliance showrooms of course, but there’s showrooms specializing in flooring, tile, furniture, textiles and accessories for the kitchen and bathroom. Design inspiration abounds in the various vignettes displayed throughout the showrooms, and it’s a great place to figure out what style you prefer for your home. Each showroom is staffed by product and design experts, so feel free to ask questions. If you are starting from scratch, or without the guidance of a designer, be prepared to spend a few hours exploring the various product offerings. Much like visiting a museum, I recommend you review the building offerings first, jot down four to five “must visit” places and drink a big cup of coffee before setting out. Enjoy!